Malaysia iProperty website is no stranger to Malaysians looking for that special dream home of theirs. In fact I would think it is one of the first places on the net we would go to in search of our dream home, or to check on the current market prices of the properties we own. Anyway, this short post would be to share on their latest contest for a chance to win RM10000 and more. 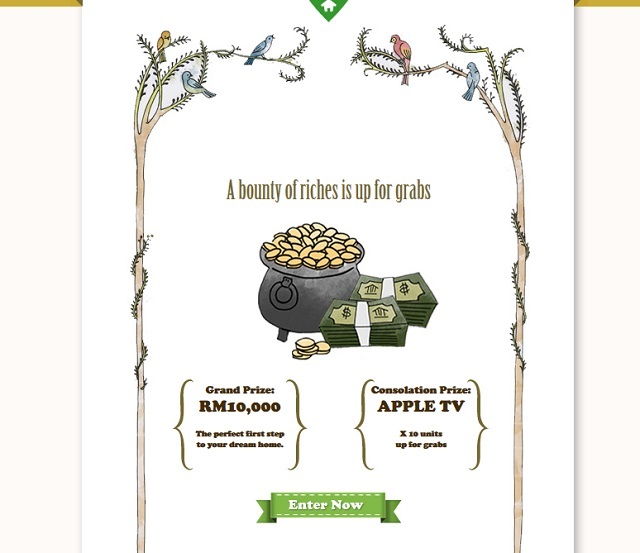 Aptly named the Happily Ever After Home Campaign, iProperty.com Malaysia has launched the Happily Ever After Home campaign, where interested individuals are invited to submit their details via Facebook and answer a simple question. So do check them out at http://www.iproperty.com.my/contest for more details. I wouldn't say no to RM10000, would you?